Mark DeWolf is the founder and owner of By the Glass (now known as With Zest) a combination event, tour and promotions company. 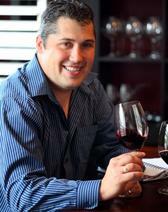 In 2002, Mark passed the International Sommelier Guild's final exam with the second highest mark in Canada. After graduation Mark took a position as an editor of one North America's largest on-line wine publications, Appellation America. Since leaving Appellation America, Mark started his own beverage consultancy company, and became the Publications Editor and Art Director of Occasions Magazine, which is produced for the Nova Scotia Liquor Corporation. Mark is the currently the Manager - Custom Content Food & Drink at The Chronicle Herald - Atlantic Canada's largest newspaper and part of the Saltwire Group - one of Canada's largest privately owned media groups. 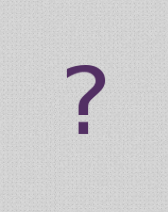 Mark additionally heads the Tidal Bay Independent Tasting Panel and co-ordinates the Atlantic Canada Wine Awards, Atlantic Canada Beer Awards and soon to be launched Atlantic Canada Spirits Awards. Mark has been a Sommelier instructor with CAPS since 2004. Mark occasionally writes for other publications, when time allows. Michelle is a certified Sommelier, is proud to be the President of the National Board for the Canadian Association of Professional Sommeliers/ Association Canadienne des Sommeliers Professionnels (CAPS/ACSP) and Vice-President of the Alliance of Pan-American Sommeliers (APAS). Formerly the President of the Ontario Chapter of CAPS and their Director of Education for the sommelier program, she holds the Diploma of Wine from the Wine and Spirit Education Trust (WSET) and is a WSET Certified Educator & Assessor. 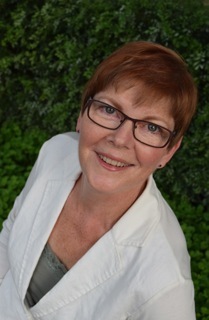 In addition to her passion for wine, the profession of sommelier, and the wine industry, she also holds a Masters in Leadership Studies; is a wine educator, with national and international teaching experience at the college and university level; holds diplomas in Culinary, Hotel and Food & Beverage Management; and, she conducts private and corporate seminars. Michelle is a member of CAPS, an Associate Member of the Institute of Wine, and the Women's Culinary Network. Dan began his passion for food and wine in 1999 while attaining his Hospitality Diploma, and in the years since, he has become a certified Sommelier from the Canadian Association of Professional Sommeliers and returned to college in 2009 to enroll to enroll in the Culinary Arts program to refine his culinary skills. Graduating from this program in 2011, he is now working on attaining his Red Seal certification. As a volunteer, he remains actively involved at the Board of Directors level with the CAPS-Atlantic and the Restaurant Association of Nova Scotia. Dan’s affinity for food and wine spills over into his personal life as well. When not at work Dan has a small organic farm complete with several hundred grape vines, so he can fully understand wine from the ground to the glass. Jean Benoit began working in the restaurant industry in Quebec as a teenager. Although initially moving to Montreal to study administration he chose to listen to his heart subsequently enrolling in the Italian Professional Culinary program offered at ITHQ. His passion and desired to learn more moved him to the dining room where he has continually climbed the ladder, from server, bartender to Maitre D’ at various hotels. By working along sommeliers at the Cube, Aszu and the legendary Don-Jean Léandry at Chez Garcon the world of the sommelier was exposed to him. Jean-Benoit began his sommelier education at the ITHQ at the same time he opened, as a co-owner, Au Chaud Lapin in Plateau Mont-Royal. He then began studies with the Wine and Spirit Education Trust (WSET), which he has completed three of the four levels, and has since become the in-house sommelier of the House of Boulud at the Ritz-Carlton where he has worked for almost two years. 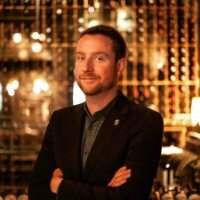 It is at the same time that he joined the ranks of the Board of Directors of the Canadian Association of Professional sommeliers in Quebec, first as director of communications and social media and there is now vice-president. With regards to that decision it is important for him to give back to a passion and profession which has brought him so much. Dealing always of different projects of consultation in cellar and restore, it is also a sommelier in chief at the L’Auberge Saint-Gabriel. He is also the founder and manager of the club of wine of Midtown Le Sanctuaire and in this position does purchasing, management and evaluation of private cellars for individual clients. In this capacity he also organizes and hosts private parties and corporate events. President of the Ontario Chapter and Marketing Manager with Vincor Canada, A Constellation Company, Elsa develops and promotes Canadian wines and wine brands. 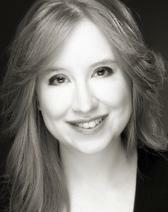 Elsa entered wine after a career as a Management Consultant in Telecom and Financial Services. Elsa was certified by CAPS as a Sommelier in 2006 and became an Associate of the Institute of Wine and Spirits in 2009 (diploma graduate). She received the Inniskillin Award for Top Academic Achievement in the CAPS program and the OIWSBA (Drinks Ontario) Brian Kirkwood Memorial Scholarship Award for top-achieving student in the IWEG/WSET Diploma Program. As well as being a wine, food and gardening geek, Cheryl Doherty is co-owner and franchisor of The Old Triangle Irish Alehouse, a successful quartet of restaurants/pubs in Atlantic Canada. 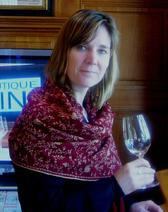 She is a certified CAPS sommelier and WST 3 and also a qualified teacher of food safety and WHIMIS training in Canada. She is a guest educator at Nova Scotia Community College and writes about wine and food for Refined magazine.